Tim Slade has publicly confirmed for the first time his contract with Walkinshaw Racing expires at the end of this season. 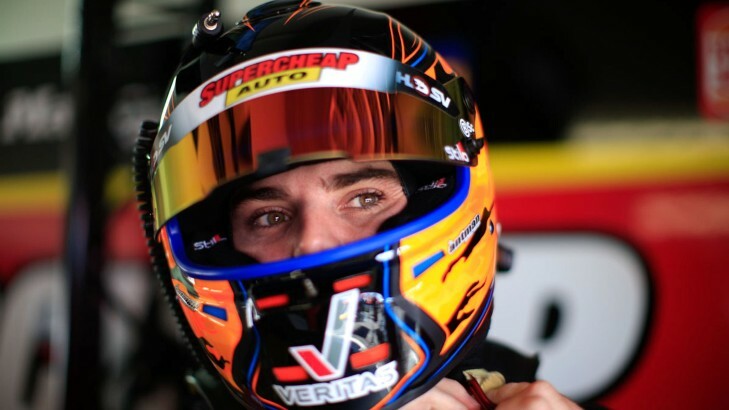 But he has also revealed he is most likely to re-sign with the factory Holden-backed outfit and continue to race the Supercheap Auto Racing Commodore VF beyond 2015. And Walkinshaw Racing boss Adrian Burgess has indicated his keenness to retain Slade's services, admitting at the same time that the team has not rewarded its driver's strong 2015 form. Slade adds to a long list of drivers who could move teams in 2016, with Fabian Coulthard, James Moffat, David Reynolds and Nick Percat also among the members of that list. "It is early days and we haven't spoken about anything yet," said Slade. "We will have that conversation when the time is right. But I don't think there is anything wrong with getting those conversations started early. "I am happy where I am at and I haven't really thought about it too much at all. I don't want to be swapping and changing teams every time my contract is up. "That continuity is very important in this day and age when everything is so close." Slade started his V8 Supercars career with a single season at Paul Morris Motorsports in 2009, then spent three years at Stone Brothers Racing and stayed for the first year it transformed into Erebus Motorsport V8. His first season at Walkinshaw Racing in 2014 was an up and down affair which included a change of engineer and a race-ending crash in the Supercheap Auto Bathurst 1000. 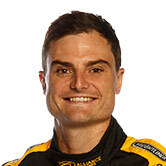 He finished 17th in the drivers' Championship. Slade currently runs 18th in the drivers' Championship, but his average qualifying position of 10.9 over nine races this season versus a finishing average of 14.9 reflects the poor return he has been getting for strong form. His ill-luck has included running out of fuel late in the double points 200km race at the Tyrepower Tasmania SuperSprint and then suffering a suspension breakage in the 200km race at UBET Perth SuperSprint. "Tim is doing a good job," said Burgess. "We are letting him down more than he is letting us down at the moment. "I think his attitude is great, he is enjoying it a lot more than this time last year. I think his head is in a far better place. If we can give him a good, clean weekend and he will be top six, top eight and hopefully challenging for podiums where he should be." Burgess said he felt positive about starting talks with Slade over a renewal. "I think we will keep working hard together and if we are all hitting the goals we want to be hitting then I am sure it will be an easy process. "At the end of the day it's a two-way conversation and he might not want to stay with the team. At the moment we are both happy with the potential we can see in both sides of it, but for the moment we are just focussing on each event as it comes and try and do the best job we can. "At the moment I have got no issues or no real reasons to think about changing what we are doing; it is a conversation to be had with Tim and Supercheap as well." Slade concurred that Supercheap's attitude would be a factor in his renewal negotiations. "I have a good relationship with them and enjoy that relationship. I would like to think that is a long term one as well," he said. Slade also said the impact of the 2017 introduction of the Gen2 Supercar on the future plans of Walkinshaw Racing would be a factor in his renewal discussions. "I think that is going to change what a lot of teams do in 2017 and beyond," said Slade. "Some teams might upscale and some teams might downscale and without speaking to Adrian yet I am not sure what their plans are. "You don't want to go somewhere or stay somewhere next year only for things to change the next year. Like I said, continuity is important to me." The confirmation that Slade is a potential player in the 2015 driver market silly season comes on the eve of the Winton SuperSprint. At the corresponding event in 2014 Slade broke a run of outs to post a third place in the Sunday 200km race. "I am definitely going into Winton with positive thoughts ... but I never want to go into any race meeting getting too far ahead of myself," said Slade. "I know if I do my job and the rest of the team do their job I know the equipment is there now to come out of any race with a half decent result."